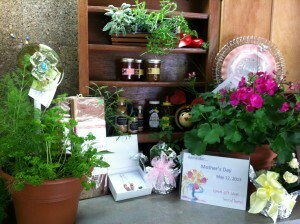 This weekend I will have a Mother’s Day Gift Corner set up to help you finish your last minute shopping. 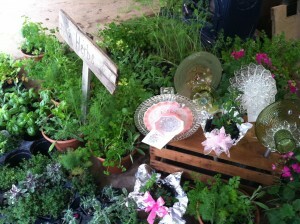 There will be handcrafted items made by Val (with a little help from Kenny) as well as mini rose bushes, geraniums, and herbs. We will also have a few of Kenny’s Grilling Planks, my freshly made Blackening Spice , homemade jams and local honey. Stop by and check out our variety, cards and gift wrapping will be included.